Our new mobile app is a memory game to help us memorize the 72 names in their correct place and achieve better and greater spiritual connections. The 72 names are as the Zohar explains, bridges that connect the light from Zeir Anpin to Malchut. 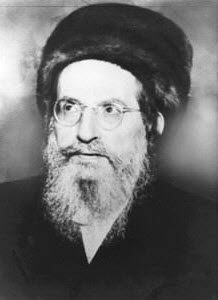 The Zohar (Vayera #282) reveals that man was created with 248 body parts that represent the 216 letters of the 72 names and the 32 paths of wisdom that were formed in the process of Creation. There is a direct connection between the 72 names and our body. The light of each name affects parts of our soul and body. The connection to the 32 paths of wisdom is with the study of Torah from the Zohar. Memorizing the 72 names, creates bridges of Light in our mind to enhance our spiritual connections and prayers. They open and expand our vessels with the great light emanating from the names. It’s not just an enjoyable game, It’s a spiritual connection made each time we place a name in its position. We designed the levels of the game in a way that will make it easy for us to gradually memorize the entire chart. The time you spend on this game is pure light. 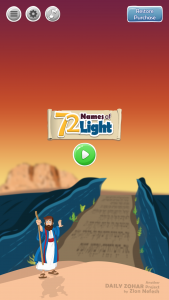 In addition to the game we included in the app the 72 names chart and the 72 names prayer in video and audio. To unlock the game there is a onetime purchase price for all levels of the game. The cost of this development was high. The price to unlock the game is $9.99 but for a short period of time, until the end of Pesach we offer discounted price of $7.99 for Apple devices and $7.20 for Android devices. iTunes and Google Play stores collect 30% fee from every sale. Our potential buyers are from a narrows group of Kabbalah students. We ask your help to promote this great app among Kabbalah students in and out of your social media networks. We hope to make enough number of sales to break even and more. B”H and your help we can achieve that. We want to create more wonderful projects to provide great spiritual tools and connect many thousands of people around the world. Please consider making donations to the DailyZohar.com to support new projects. We have many great ideas and with a proper budget, we can produce more tools for free and or for low purchase price. Please download the app to enjoy the free features and , give it 5 stars and share it with your friend. Last but not least, I want to thank God for giving me this game idea and many other ideas waiting for budget allocation. I want to thank those that support the DZ projects. They can definitely feel like spiritual partners.